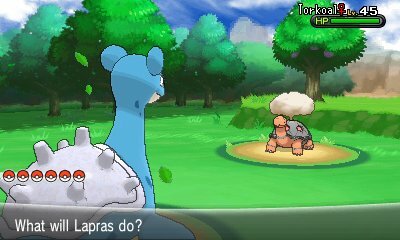 On the odd occassion in battle, you will notice various things in the background, ranging from trees in the field to rock formations in caves. These seemingly inocuous background objects do have a specific function, they can be destroyed and cause you to receive an item. There are various factors involved in obtaining these items. It seems that specific ranged attacks work for each one. While Surf may work on one, it won't work on another nor will other moves such as Earthquake.